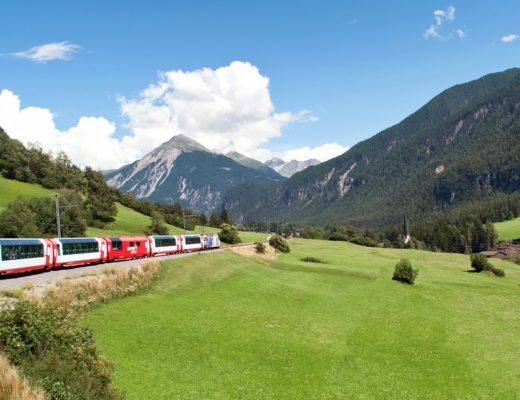 On a Swiss scenic train journey you can see a procession of lakes, snow-capped mountains, dramatic gorges, alpine meadows and pretty villages from the comfort of your train carriage seat. But along with its reputation for stunning scenery, Switzerland also has an equally well-deserved reputation for being an expensive place to visit. Two of the country’s scenic train journeys – the Bernina Express and Glacier Express – travel through Switzerland’s finest scenery in special tourist trains with glass-walled observation carriages. But they’re also both run by local train companies on the same lines as regular services. So when I was planning a European rail trip I looked into whether the special trains were worth the price or could you do it cheaper yourself – and if so was it worth the hassle? The real version… The Bernina Express runs between Chur to Tirano, just over the border from Switzerland in northern Italy. The train journey takes around four hours and crosses 196 bridges, goes through 55 tunnels and passes 20 of the most beautiful villages in Switzerland. The route starts at the historic city of Chur and follows the River Plessur past a series of hilltop castles. 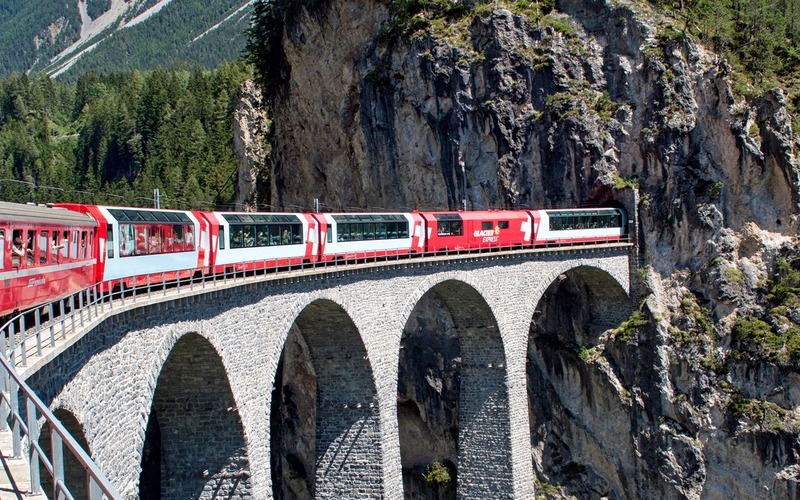 It then crosses the spectacular Landwasser Viaduct – which curves around in a semicircle so you get a great view of the train as it travels over – and passes through the Landwasser tunnel into the Engadin valley, home to the St Moritz ski resort. From St Moritz it changes onto the Bernina Line and climbs up into the Upper Engadin, with views over to the Morteratsch Glacier, right up to the highest point 2253 metres up at Ospizio Bernina. And from there it descends almost 2000 metres back down to Tirano where the route finishes. If you want to travel on into Italy then there’s a connecting bus from Tirano and Lugano or you can catch a regional train to Milan. Tickets for the Bernina Express between Chur and Tirano cost 64 CHF (£50/€56/$65) one way in second class or 112 CHF (£89/€98/$114) in first class, which has bigger windows and wider seats. This is for an open ticket valid on any train. There’s also a compulsory seat reservation fee of 14 CHF in summer or 10 CHF in winter. So a summer ticket will cost a minimum of 78 CHF (£62/€68/$79) in total. Swiss Passes, Interail and Eurail passes are all valid on this route but you’ll need to pay the reservation fee. 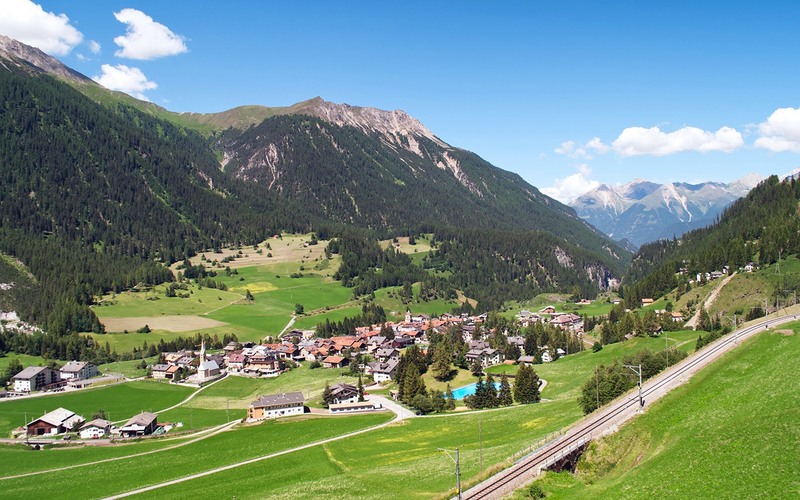 The DIY alternative… It’s easy to do the Bernina Express route on normal local trains, and although you don’t get the panoramic carriages, instead you can open the train windows which is much better for taking photos. It does normally involve a couple of changes along the way though, but Swiss trains are very reliable and the stations are tiny so they aren’t too difficult. The first change is at Samedan, which is near St Moritz and almost two hours from Chur. Then it’s a short seven minute journey to Pontresina where you change onto the train to Tirano. The whole journey takes about four hours and 20 minutes. A though ticket from Chur to Tirano costs around 64 CHF (£50/€56/$65) – the same as the Bernina Express minus the reservation fee. You can book tickets on the Swiss Railways website, though double check the routing as some include a bus (marked BUS) and some use the Bernina Express trains (marked BEX) so are subject to the seat reservation fee. Swiss Passes, Interail and Eurail passes are all valid on this route. 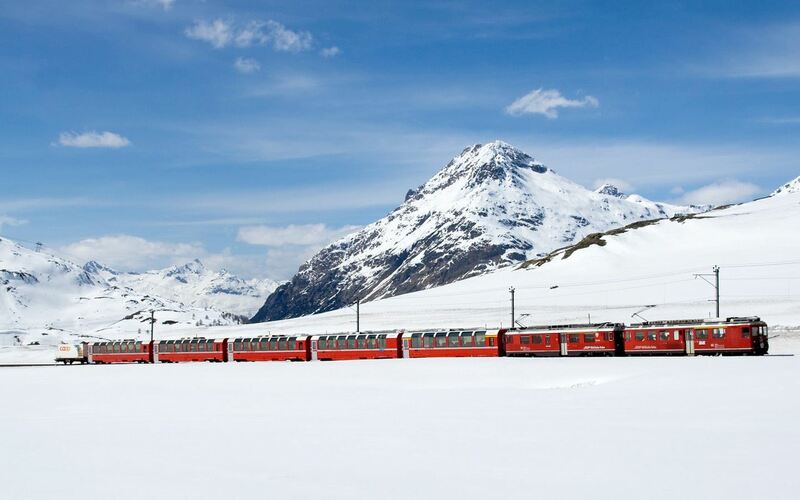 The real version… The Glacier Express is known as the ‘world’s slowest express’ and takes almost eight hours to travel the 180 miles between the Swiss ski resorts of Zermatt and St Moritz. The journey starts beneath the Matterhorn in Zermatt, then descends over 1200 metres to the towns of Brig and Visp using a cogwheel railway to work its way down the steep slope. It then follows the Rhone Valley to Andermatt and climbs up to the windswept Oberalp Pass, the highest point of the line at 2033 metres up. Then it descends again to Distenis where you change from the Matterhorn Gotthard Bahn to the Rhätische Bahn. From Distenis the train travels through the steep Rhine Gorge and from Chur it follows the same route as the Bernina Express – crossing the stunning Landwasser Viaduct on its way to St Moritz. Tickets for the Glacier Express from Zermatt to St Moritz cost 149 CHF (£118/€131/$151) one way in second class or 262 CHF (£207/€230/$266) in first class. Both have panoramic windows and you can order meals and drinks at your seat. There’s also a compulsory seat reservation fee of 43 CHF in summer, 33 CHF in spring/autumn or 23 CHF in winter. So a summer ticket cost a minimum of 192 CHF (£152/€168/$195). Swiss Passes, Interail and Eurail passes are all valid but you’ll need to pay the reservation fee. The DIY alternative… As with the Bernina Express, there are also local trains running all the way along the route of the Glacier Express. But this one does involve a few more changes – though again small stations and reliable trains stop it being too complicated. The whole journey takes just over eight hours, so is only 20 minutes slower than the Glacier Express. You need to do four changes along the way though – at Visp, Andermatt, Disentis/Mustér and Reichenau-Tamins (just outside Chur). A ticket from Zermatt to St Moritz costs around 145 CHF (£115/€127/$147). You can book tickets on the Swiss Railways website. 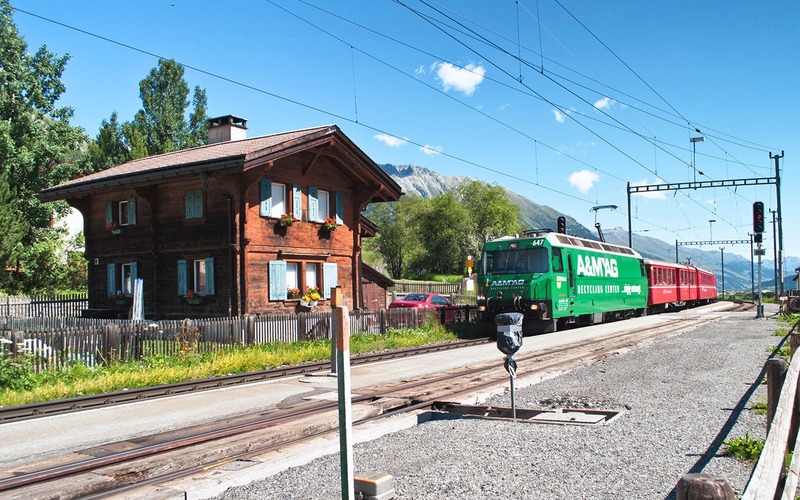 Make sure to add ‘via Andermatt’ when you search as otherwise you’ll get taken on the quicker but less scenic route via Zürich instead. Some use Glacier Express trains (marked GEX) so are subject to seat reservation fees. Swiss Passes, Interail and Eurail passes are all valid on this route. As you can see the price differences are pretty small, so if you are following the full Glacier or Bernina Express route then it’s worth booking them directly to avoid the hassle of all the train changes. But where the local trains really come into their own is if you don’t want to take the whole journey in one go. 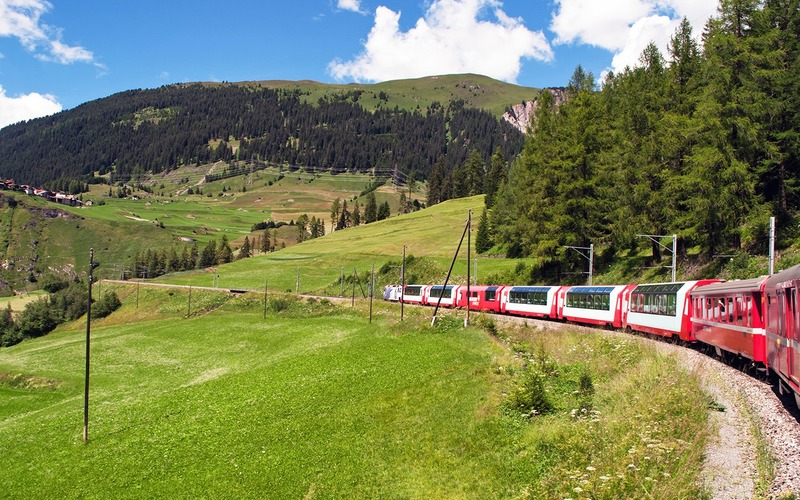 If you want to break up your trip on the Glacier or Bernina Express, then you have to pay for an additional seat reservation fee on each section. On the local trains you can break the journey up as much as you like – stop off for a night or do some walking between one station and the next before continuing on the train. Often the train fares aren’t much cheaper in advance so you can be flexible and buy them at the station. 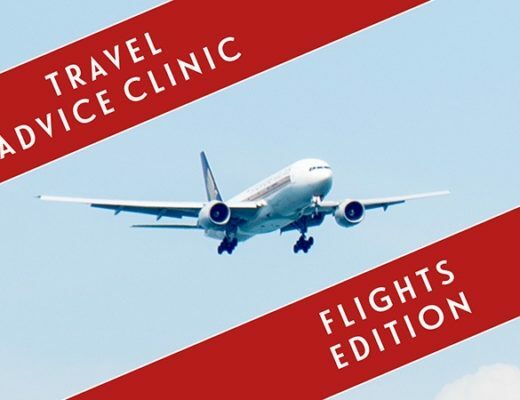 If you want to take one of the scenic routes as part of a longer journey and are travelling on to (or coming from) another European country, you may also be able to save money by booking with their train company instead of Swiss Railways (try OBB for Austria, Trenitalia for Italy or Deutsche Bahn for Germany). 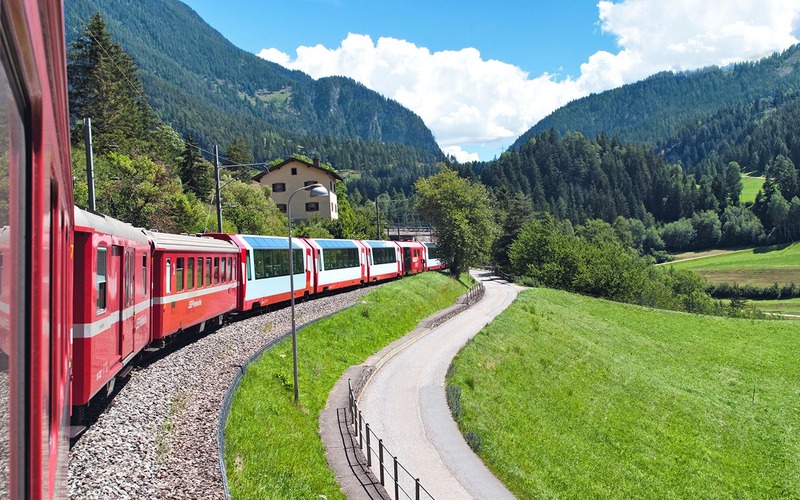 For example, the Seat61 website has a clever way to save money on the cost of the Bernina Express by booking a train from Singen – which is just across the border in Germany – to Tirano for €29.90, with children under 15 going free. With limited time in Switzerland, we chose a relatively short section from Chur to St Moritz for our first Swiss scenic train experience. This spectacular stretch is part of both Glacier and Bernina Express routes and is short enough to do a return trip in one day, or to add on as a diversion to longer rail journey. It takes two hours without changes and costs 42 CHF (£33/€37/$43) one way – so you can get a DIY taste of Switzerland’s scenic train on a budget. Would love to do this scenc trip, it´s beautiful! Thanks so much, it’s a really pretty part of the world, hope you get to visit one day! Your photos are absolutely gorgeous! I need to see more of Switzerland (although, as you rightly said, everything there is expensive!). 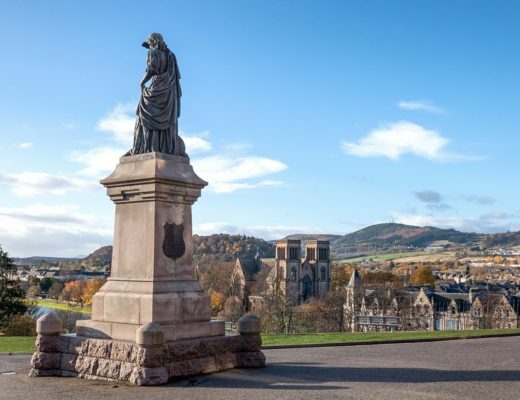 It is a stunning place – I think it’s the mix of different types of scenery that make it so great (though it’ll never be a budget destination!). I’m always a fan of the DIY form of travel, so it’s interesting to know how much you save. I’m actually surprised it isn’t more for something like this! Although, like you say, the main attraction for me would be the chance to stop off in towns and villages along the way. Yes I was surprised too – though you can save a bit more if you’re travelling on the routes as part of an international trip as the other European countries train companies seem a bit cheaper. It’s nice to be able to do it slowly though and stop off – we saw a lot of people we were walking between stations or taking their bikes then getting the train back. 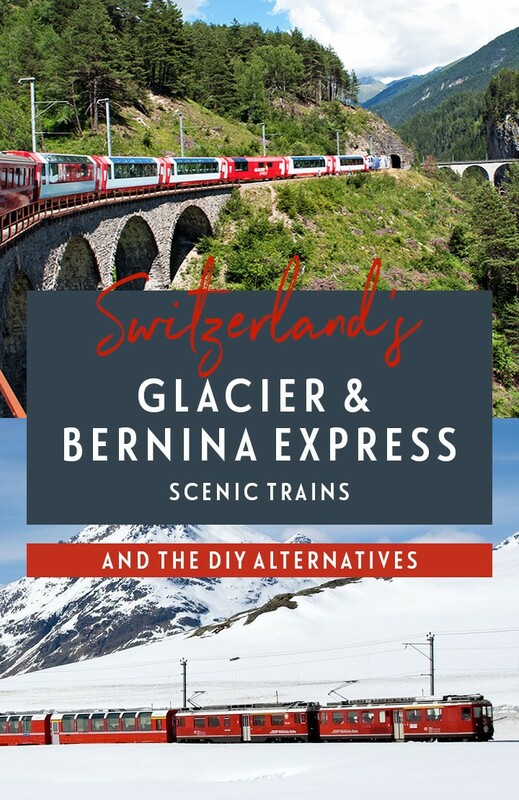 As a Swiss, I have taken most of the scenic train routes except for the glacier express. You have documented them carefully! The Golden Pass Panoramic Train from Montreux to Lucerne shows you another part of Switzerland, from the French speaking western part through the vineyards to the famous city of Lucerne where you can continue to Interlaken for example. You are right, the Swiss train company SBB is very expensive. On the French SNCF or the Italian Trenitalia Website you can make some pretty good deals. I also recommend taking the Swiss Pass. 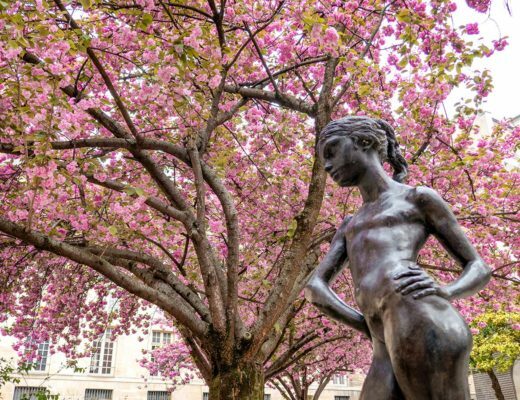 In addition, there is a Swiss offer from the Swiss municipality, where you can daily train tickets from 45-50 Swiss francs, but only 10 days in advance before your trip (www.tageskarte-gemeinde.ch). Thank you – it must be great to have such beautiful train trips so close to home! The Golden Pass Panoramic Train looks like a fantastic journey too, and quite different as there are more lakes along that route. Thanks for the tip about the Swiss Pass and special offer tickets too – you reminded me about booking with other countries sites (which is what we did as we were going on to Austria and it was much cheaper) so I’ve added in a sentence about that to the article. I am need some advise. I am flaying tomto Zurich in August and want to plan the following train trips. The Jungfrau, the glacier express and Bernina. I need to end up in Montreux. What is the best route to take and what is the best order to plan them? I don’t want to waste time back tracking if at all possible. HELP! Hi Debbie, I think you will have to backtrack a bit unfortunately but I would suggest best to go from Zurich to Interlaken (you can take the GoldenPass if you travel via Lucern which is another scenic train route) and then do the Junfrau in a day from there. Then travel to Zermatt to catch the Glacier Express. 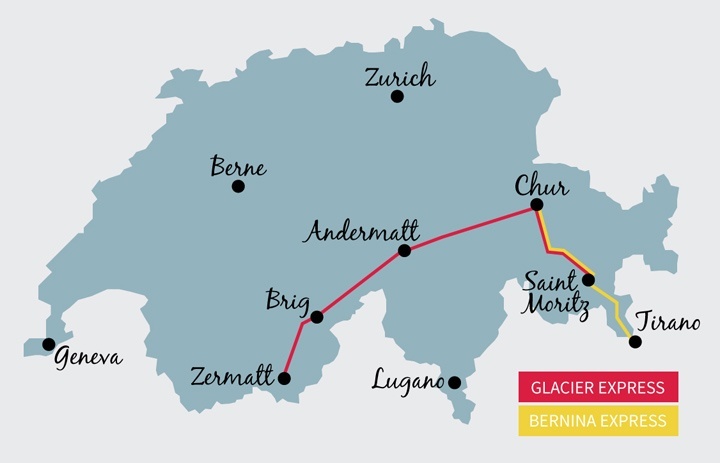 You will have repeat the section from Brig > Zermatt on both ways but then carry on to Chur and catch the Bernina Express to Lugano and finally the normal train back to Zurich. Yes it’s one of those where you don’t want to think about it too much! We ended up only spending one night there and overnighting in France and Austria around our train trip so we kept the expense down as much as possible. 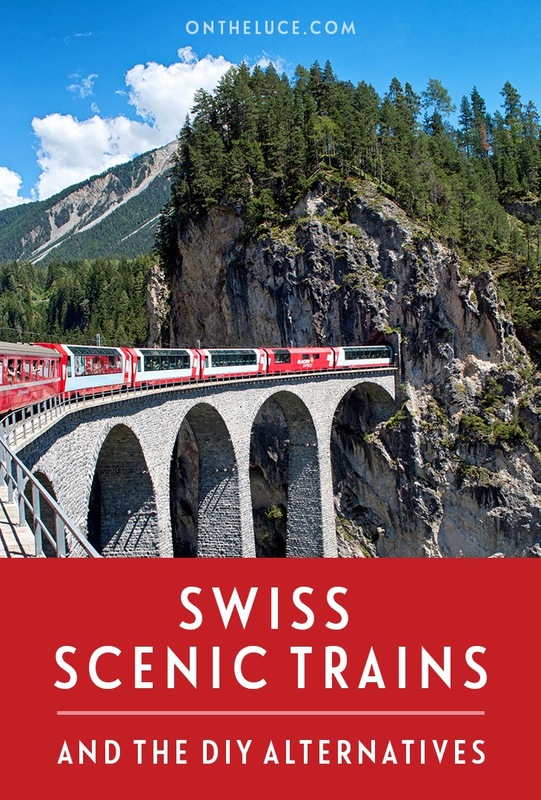 Excellent post Lucy – great information which is very useful for planning a rail journey through Switzerland. I’d love to do the slow travel and stop off at places along the way. One day maybe. Thanks – yes it’d be a great place to amble through the different mountain towns and villages by a mixture of train and walking! Not only can you DIY – you should! Those panoramic carriages look great don’t they. Not only are they a photographer’s nightmare, they are also not that frequent. A young American couple were in the ticket queue ahead of me, in some Swiss train station (sorry, forgotten the name). They wanted to travel on a Glacier Express with panoramic windows. Definitely NOT on a regular train. Because the next day was a Sunday, they were told that due to the timetable, if they wanted to return on the same day (which they did) then they would only be able to travel less than half distance, and then return straight away. But if they travelled on a regular train, and left early enough, then they could travel a LOT further. They opted for the shorter “special” journey. And this is just a personal preference. The train (normal RhB train) that I travelled on was about 30% full only. We passed a couple of “special” trains on the way. They were FULL. And the only person who looked like they might actually be Swiss – was the ticket collector. The rest had cameras slung around their necks, were of a certain size (you really DON’T want t be sat next to someone that big), were of certain age (think grey hair & no hair). If you could travel by train and make it appear that you were on an ocean liner (without the sea), then that was it. DIY. It’s SO easy. You get to travel on quieter trains. You get to open the windows to take reflection-free photographs (and you WILL want to – it’s just so beautiful). And you might even meet a local. Oh. And the scenery is IDENTICALLY stunning. Haha your comment made me laugh! I agree with what you said. The best way might be to mix up “normal” train journeys with one “special” one. 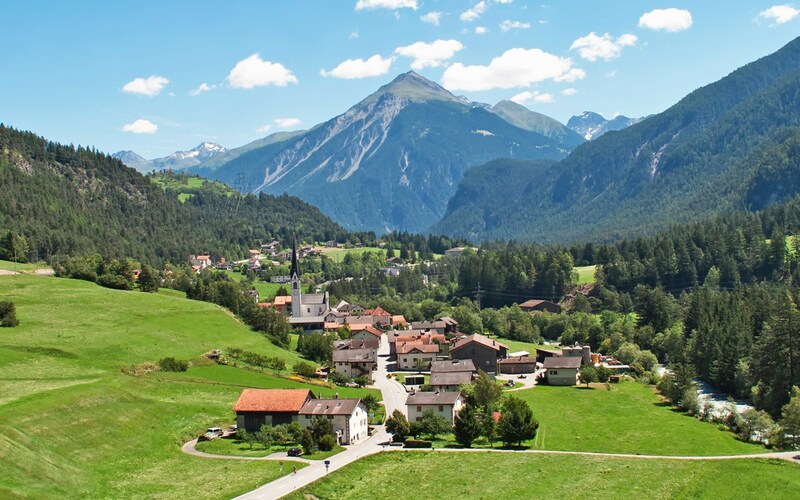 As somebody who grew up and still (partly) lives in the beautiful countryside in Grisons (in a small village called Rabius, the Glacier Express passes it on its way from Chur to Disentis) I strongly support what you say. I use the RhB very often (since it is the only way out of the village if you don’t have a car) and it really is quite empty most of the time. I can only recommend using it instead of the Glacier or Bernina Express, which will only be way more expensive and less comfortable. Just don’t take the RhB from Chur to Disentis between 5 and 7p.m., all the people commuting home from work will be in there, so it usually is awfully full. If possible, I recommend taking a later or earlier one, or you won’t be able to take many photos. Of course same counts for very early trains from Disentis to Chur (6:30 to 8 a.m.). If anyone has any questions about the route from Chur to Disentis, don’t hesitate to ask me, I know it quite well, I must have done it more than a 100 times. You can also ask me questions about Disentis, Chur and its surroundings in general. Good to hear how you got on Iain – our regular train was less than half full too and it was great to be able to open the windows (I even got to have a seat on both side of the carriage so I could run between the different sides to take photos!). 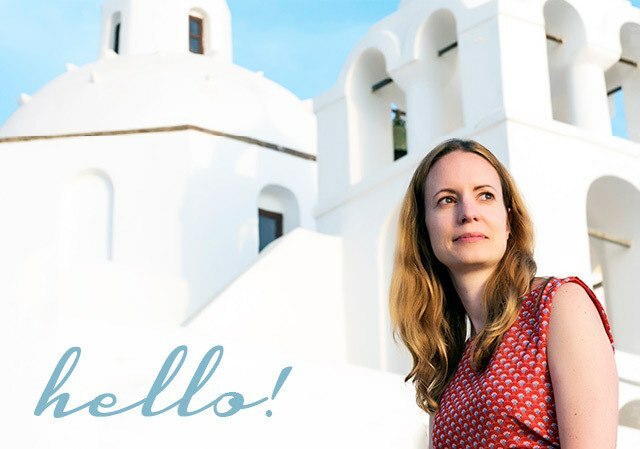 Thanks LocalGirl too, great tips about avoiding peak times and thanks so much for the offer of advice on the region – you live in a gorgeous part of the world! I haven’t been on either of those scenic trains, but I had fantastic train experiences in Switzerland. Of course, the service is excellent, but the scenery along the way is spectacular in many areas. I can’t wait to go back someday. I’d definitely consider the scenic trains, but I do like being able to break up the journey and explore a bit. The Swiss train services (and actually the ones in France and Austria too) were great – clean, comfortable and all completely punctual, it really is the best way to travel around Europe, and there are so many more routes I’d like to see! Beautiful photos! My only scenic train trips was through Austria and I loved it. Would love to do another one again. We went on from Switzerland to Austria next and there was some fantastic scenery there too! We did the Bernina express in June. It was a blast. The train was packed with Italians and Austrians (interesting mix if you ask me!). On arrival in Tirano we took the bus to Lugano, it was absolutely worth the money. I put my swiss adventure on hold to write about Croatia but as soon as I am done you’ll see some pictures on my blog. I don’t think taking photos through the glass was too bad, I brought a pol filter ..it helped a lot! In winter we’re going back to take a ride on the glacier express. Can’t wait! Thanks Suze, good to hear how you got on – look forward to seeing your posts too. Great tip about using a polarising flilter, I usually struggle with reflections in the glass on sunny days and hopefully that’ll help! Surprisingly most of my pictures turned out pretty decent 🙂 (OK, if one looks closely there are some reflection) ..nothing lightroom couldn’t fix though! I overheard some of the old Austrian folks saying I wouldn’t get a decent shot.. They took me for an American and kept talking about my photo-obsession (I must have taken about 300 shots within 4 hours). The biggest problem for me was the moving train. The Glacier Express is going to be even more exciting! 🙂 The Pol filter helps a lot (works great on water and glass) Def get one if you haven’t one already! Very cool and informative post. It definitely seems like it would be worth the ease to buy the fancy train ticket, but being able to lower the windows would be nice too. Either way, I really want to ride a train through the Alps right now. Very comprehensive and detailed post! Switzerland has long been on my list of countries to visit because it is so scenic, and seeing it by train would be amazing. It’s definitely a good way to see the mountain scenery – the roads are so twisty and turny that you need to keep your eyes firmly on them but the train is perfect for watching the scenery out of the window! I’m From South Africa and went to Switzerland April this year and absolutely loved it! the trains were amazing, I saw almost the whole of Switzerland, it was amazing and I know it would not have been possible if not for the Great railway system! your Article has brought make such great memories! Glad to bring back some good memories. Sounds like you took a fantastic trip too – there are so many great train routes around Switzerland! Good to have someone else do the legwork on DIY vs. “tourist” options :-). Sounds like avoiding the hassle of train changes is the way to go. We just took a scenic return train trip from Vancouver to Jasper here in Canada with VIA Rail (had a sleeper cabin) – lots of fun! You’re welcome 😉 Yes if you want to do the full route (and don’t mind the non-opening windows) then the dedicated trains are a good idea. I would love to do a trip by train across Canada. I did a sleeper train from London to Edinburgh but we don’t have many of them in the UK as it’s a bit too small! Argh this looks so scenic and beautiful!!! I’ve always been fascinated by epic train journeys like this – Would love to do this and the trans-siberian railway too. For some reason I would also love to hitch a ride on a cargo train like you see people do in films haha! Great article, really vibrant photos! Thanks Paul – I love travelling by train and the Trans-Siberian would be the ultimate train journey! The longest I’ve done so far was 48 hours on an Indian train which was a lot less luxurious (and punctual!) than the Swiss ones. Thanks, train travel is one of my favourite ways to see the world, as especially around Europe. Switzerland is such a beautiful country – so many landscapes and different cultural influences within one country – it’s definitely not a budget destination but I think it’s well worth a trip! A few weeks ago, I took a scenic train from Wilderswil up to Jungfraujoch. The views were amazing. I was surprised to see so many towns along the route. That’s a fantastic route – I did the train part of the way but not right to the top of the Jungfraujoch, would love to go back and do the full trip one day! I would love to do a train ride across the country! That must be such a beautiful and relaxing way to enjoy the countryside. So picturesque! It’s definitely relaxing, just watching the scenery go past the window – probably my favourite way to travel! Switzerland s such a lovely country. You did a great job with the DIY route, a friend of mine was looking for something similar so now I know where to point her to. That’s great – hope it comes in useful and your friend has an amazing trip! The Glacier Express is just lovely. Did you also have the chance to enjoy some of the cities alongside the train route? It is – we stopped off at Celerina near St Moritz on this trip, but I’ve visited Chur and Zermatt before and both were lovely – always more to see though! Switzerland via train is very high up on my “bucket list”, i cant imagine the amazing things you would see of of your window. It’s definitely worth the trip someday! The DIY versions aren’t hugely cheaper in this case but it does let you be a lot more flexible and get more of a locals experience. 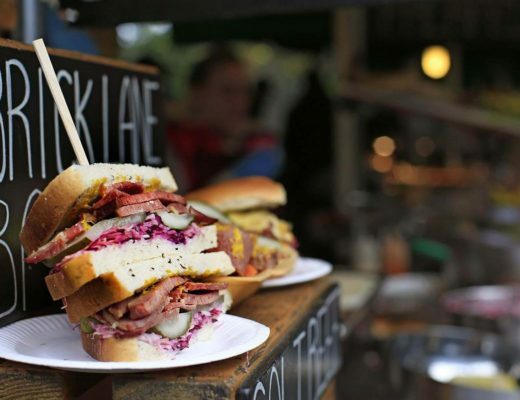 Looks marvellous. Trains in Europe are always a great ride. I’d love to do Switzerland in winter as I like “real” snow and mulled wine. Oh yes! Lovely post Lucy. I’d love to do the routes in winter too – I’ve seen some gorgeous photos of it amongst all the snow (and can never say no to a mulled wine!). What a thorough research on the prices Lucy! You are definitely right, Switzerland is gorgeous and it is quite expensive so having a comparison like this certainly helps. It might also help that if you travel in Switzerland a lot, it might be handy to have their half price card which I purchased during my stay there and it gave me 50% discount on all of their train services. Thanks Aggy, the Swiss pass is a really good idea too – we weren’t in Switzerland long enough to make it worthwhile this time but if you’ve got a few days there it’s a great option. Hello! I really loved this article. I want to take a train ride through the Alps soooooo bad!! Thanks, it was a fantastic journey – hope you get to try it our yourself one day! Being able to open the windows was great – I’ve never managed to get very good shots through glass and because the train was fairly quiet I got to alternate between the different sides too and get shots in both directions! Yes it was really not too much of a difference for the Glacier Express and the lack of changes compared to the DIY route would definitely be a bonus! You’re very welcome – hope you enjoy the trip, the scenery is just beautiful! Oh my gosh, I have been Googling the Bernina Express and I found you lovely blog. My children are living in Zug, and I am going over to visit them in June 2015. We are planning on travelling on the Bernina Express so I was very interested to read your editorial. I am so excited as I am from Africa and this sort of scenery is like something out of a fairy tale book. We are also planning to do a two week road trip from Zug to Amalfi via Rome. Hi Yvonne, sounds like a fantastic trip you have planned! I was in the Amalfi Coast last October and it’s just beautiful, and the scenery along the rail route through Switzerland is spectacular. Hope you have a great trip!